For many years now, Hedley-Junction blog as been identified by an old picture from the late 19th century depicting Hedleyville station. At first glance, this picture makes very little sense due to the relatively modern blog subject matter. However, when I selected it, most of my efforts were focused toward late 1950s railroading in Quebec City and it was - superficially - more relevant. 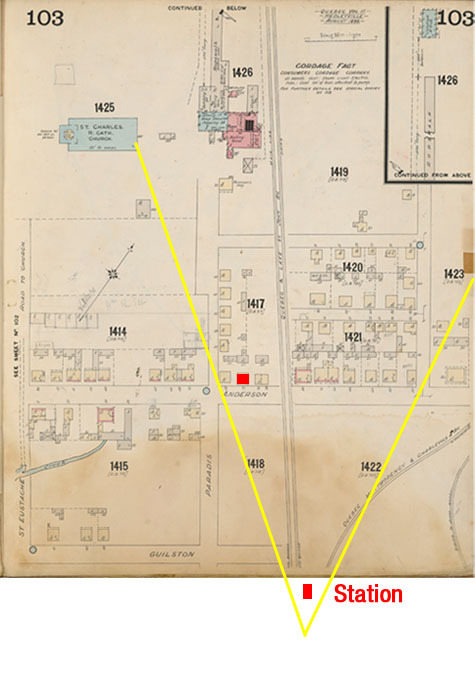 I recently found a 1898 fire insurance map of Hedleyville (now Limoilou) that depict the area as it was on the pictures. It must be noted Hedleyville started as a small company town developped by an industrialist in the late 19th century. Fleeing raising municipal taxes and a series of disastrous fires in Quebec City's poorest neighborhood (St-Roch, St-Sauveur and St-Jean), many people decided to install themselves on St. Charles River north shore, just outside Quebec City limits. Several small villages (almost boom towns) developped in what would later become Limoilou. Each of them were generally the result of an industrialist or developper acquiring a large rural property, starting a business and selling plot to employees. Smithville (later Stadacona), Parkeville, Gros-Pin, New Waterford and Hedleyville all started the same way. Funnily enough, most of these towns were extremely close to each others, often less than half a mile. Promising good jobs, a more healthy suburban environment and low taxes, the success was immediate and new parishes and schools were soon founded. The most prominent town was Hedleyville which was founded by W.H. Anderson, a lumber merchant, circa 1870. It quickly rose to proeminence when it was selected by Quebec Montmorency & Charlevoix Railway (future CN Murray Bay Subdivision) as its westernmost temporary terminal. 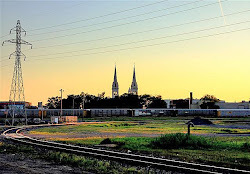 It wasn't a coincidence since just a few years before, Quebec and Lake St. John Railway had built its mainline up to Hedleyville, waiting that a soon to be build bridge would span St. Charles River and link the rails directly with Quebec City. At that time, Hedleyville is growing fast and lack of urban planification soon leads to an important fire in 1893. The same year, due to grow, it is decided to merge all the villages together and form a new larger town named Limoilou to better manage the area and bring better services, including much needed waterworks. The name Limoilou is an interesting one because it honors Jacques Cartier's homestead in France. Back in 1534, Cartier had wintered his ships and camped within the municipal limits. Land developpers had big dreams for the new town and agressive development based on the most modern town planning principles was done to absorb Quebec City's growing population. However, any suburban town with little industries and commerce can't raise that much revenues from residential taxpayers. Needs were important but not revenue. In a matter of time, and after the large and costly parish church burned down twice in a decade, Limoilou was in a dire financial situation. By 1909, it was amalgamated into Quebec City territory and became just another borough. At the same time, Quebec & Lake St.John Railway was acquired by Canadian Northern which had great plans for Quebec City. As the fire insurance map shows, Hedleyville was kind of crammed between several busy railway line, which created many problems, accidents and dangerous conditions. 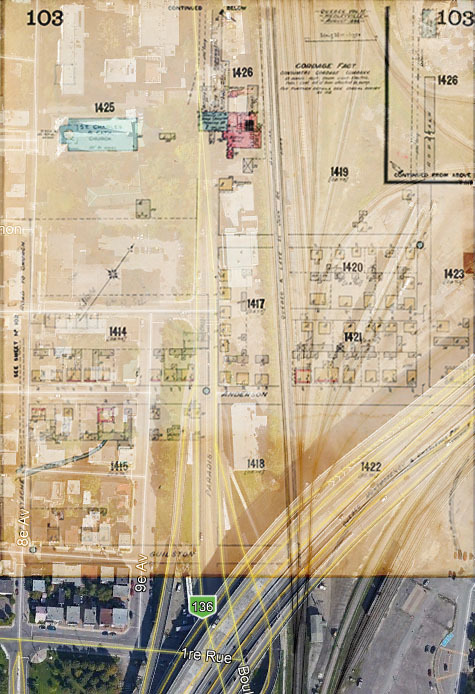 Between 1906 and 1910, the eastern part of Hedleyville was expropriated by CNoR and Limoilou yards and shops were built. 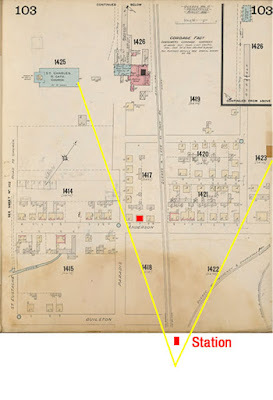 By the late 1920s, QRL&PCo erected its own shops in the vicinity and a very large paper mill occupied the waterfront. Long gone were the days when this area was a pleasant countryside where wealthy businessmen and politicians built their villa. Now, back to the photo and the map... To most people, this area would be absolutely unrecognizeable. With the exception of one cottage (the second counting from left), every structure has disappeared. 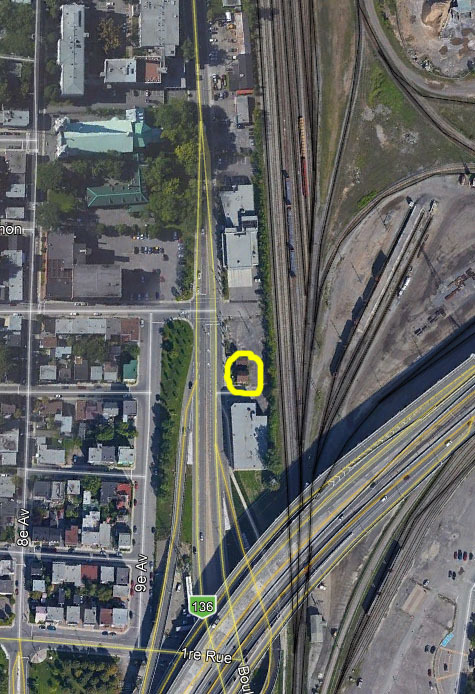 The tracks have been raised on an embankment when CNoR built the yard and Limoilou yard now occupy the area right to the main line. The junction with QRL&PCo have been severed and moved further east in the yard, though rails serving the paper mill still joins there in similar fashion. 1898 map and 2018 sattelite image superposion. Hedleyville eastern part vanished under the railway yard. The land between the station and the town is now covered by an elevated highway. Funnily enough, even though the station was demolished, CN built its yard office in the 90s exactly on the same spot and same orientation. It is a pure coincidence, but an interesting one nevertheless. But the maps tells us more... If the picture seems to depict only a road with a few houses, in fact there another street behind and two rows of houses. It seems Anderson street when quite far to the left and many others houses, not pictures, were located there. Also, on the picture, we can clearly seen the station ground was not yet landscaped with piles of earth and gravel still laying around. It probably means the picture was shot circa 1889-1890 when Quebec Montmorency and Charlevoix Railway made a junction with Q&LStJR. EDIT: on the header picture, above the passenger cars, you can see a very high stack. It was part of a large rope factory that was located there and was among the few industrial sites in Hedleyville. It wasn't rail served by a dedicated siding, but probably did take advantage of the railroad to ship its products. It must be noted Quebec City had one the largest shipbuilding facilities in the world during the 19th century with many shipyards located on the shores of St. Charles river. This industries goes back to the mid-17th century when king Louis XIV was fully satisfied by the new vessels built in Quebec City by Intendent Talon, a famous local administrator that bolstered industry in New France in the 1660s and 1670s. Ropes were a sought after item and no wonder the factory was located in Hedleyville. Unfortunately, Quebec City's shipyards dominated the wooden vessel industry, but were never able to convert to steel ship fabrication. Only Davie Shipbuilding in Lévis was able to modernize and survive up to this day.